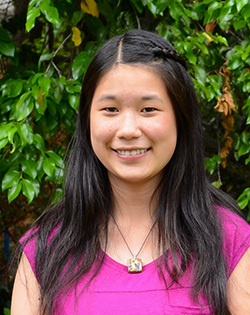 Jessica Cheung currently attends Middlebury College, where she majors in English. She is interested in gender in early modern period plays. Jessica’s thesis project examines the feminine ideal in scripts new and old, tracing the lineage of a modern cinematic trope to its Petrarchan origins. When she is not nose-deep in books, Jessica is tuned in to her local, public radio station. Past journalism projects have allowed her to host a comedy podcast in Queens, make coffee for Francisco Ford Coppola at NPR, and publish in the New York Times. 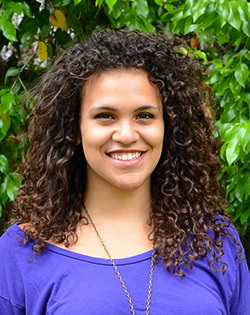 Noraida Colon, originally from Queens, NY, is a rising senior at Amherst College. As a Sociology major, she is interested in urban sociology, education, race/ethnicity, and immigration. This summer, she hopes to explore the ways in which bilingual education impacts identity formation in Latino youths. 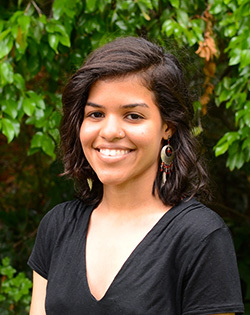 Outside of the classroom, Noraida is a student leader through the Amherst College Center for Community Engagement. She tutors elementary school girls and is a member of two dance groups. Manuel (Felipe) DaCosta is a student at Wesleyan University, where he is completing a degree in Sociology and Latin American Studies. 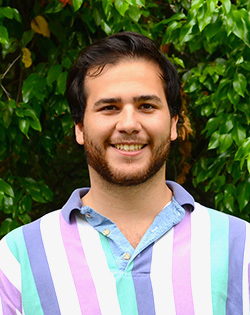 Through the Mellon Mays Undergraduate Fellowship Program, he investigates cultural formations of memory in response to violence, with particular attention to Colombia’s battle against narcoterrorism in the 1980s and 90s. Felipe will turn this research into a senior thesis that examines this subject through various media forms. Elliot Evers is a student at Bates College. Michelle May-Curry, of Cleveland, Ohio, is a rising senior at Williams College, where she majors in English and Political Science. 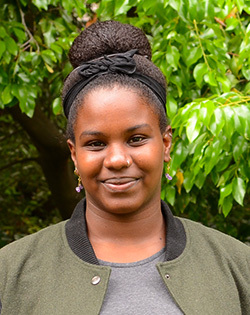 Michelle’s current research interests include biracialism, neoliberalism, and international identity politics, the intersections of which she will explore in her honors thesis in Political Science. As part of Williams’ 1960’s Scholar program under Dr. Vincent Schleiwiler, Michelle has conducted research that analyzes black, female vocality, particularly within Blues and Jazz music, as well as Afro-Asian encounters in the early 20th century. Michelle’s research has been published in the Williams College Africana Studies journal, Kaleido(scopes): Diaspora Re-imagined. 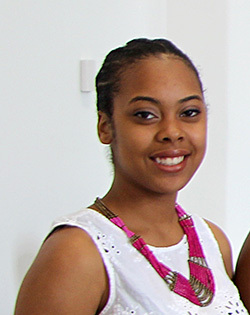 Outside of the classroom, Michelle is secretary and historian of the Sankofa Step Team, tutors English at Mt. Greylock Regional High School, and is a barista at Williams’ student-run coffee bar. Miari Stephens is a Junior at Smith College, where she majors in Afro-American Studies and Latin American & Latino Studies. 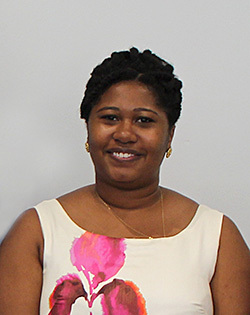 She is a Mellon Mays Undergraduate Fellow researching Afrolatinidad and public policy in the Hispanic Caribbean. This summer, Miari will look at the ways in which the different political environments of Puerto Rico, Cuba and the Dominican Republic define blackness. Nicole Bermudez will graduate from Bates College in 2016 with a B.S. in Politics, a minor in Mathematics, and a concentration in Law and Society. 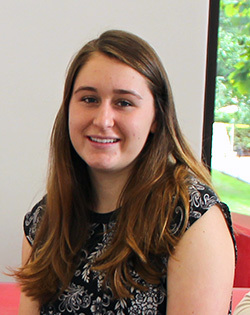 Within her Politics major, Nicole has a concentration in Governance and Conflict, with a focus on conflicts in the Middle East and North Africa. She is an active member of the Bates Politics and Law Club and pioneered an online political journal and website in which to publish student articles and papers. Nicole is also an active student representative in the Bates College Student Government and is a mentor in the Big Brothers Big Sisters Program. In addition to working as a peer tutor for the Mathematics and Statistics workshop, Nicole earned a varsity letter in women’s outdoor track and field. 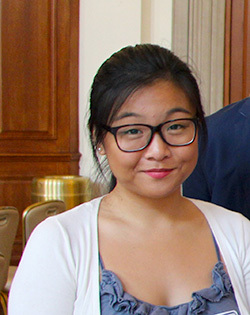 Eileen Lam is a member of the class of 2015 at Bates College. She is a double major in Politics and Chinese and has a concentration in Japanese. Eileen started studying Mandarin in high school in order to speak her parents’ native tongue. In addition to the study of languages, she also enjoys dance and the American political system. Gabrielle Peterson was raised in Montclair, NJ and is now a Sociology major at Smith College. A member of the Mellon Mays Undergraduate Fellows Program, Gabrielle research focuses on race/ethnicity, education, and immigration. Other interests include art, food, music, and community engagement. 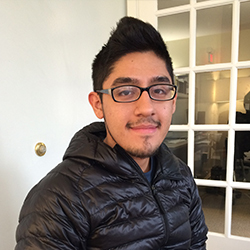 Spencer Salibur is a rising senior at Middlebury College and majors in International Studies with a focus in Economics and Latin America. She studied abroad for a year in Rio de Janeiro and is interested in doing research on Latin American history and economic development. Other interests include tennis, football (not American), and community service. 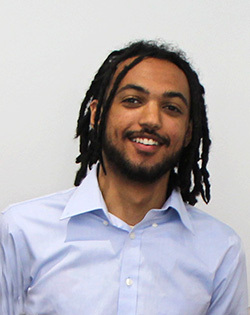 Derek Walker is a junior at Amherst College. He is a Philosophy major who is considering graduate school. Derek’s interests include the branches of ethics and logic. He is especially interested in legal philosophy and how it pertains to the historical concept of race. 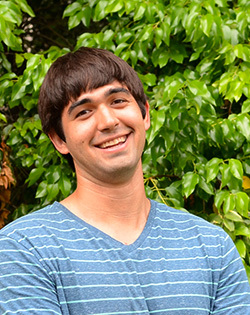 Originally from Sacramento, California, Derek is an avid basketball spectator who also plays the sport in his free time. A native of Brooklyn, NY, Kevin Zevallos attends Connecticut College. He majors in Sociology and expects to graduate in 2016. Kevin studies the role between structure and agency, examining how institutions of higher education frame equity and diversity and their influence on student-activism. Kevin will continue to explore these issues in graduate school, where he will pursue a Ph.D. in Sociology.